This episode begins with the Tardis arriving in Bristol to find it has shrunk on the outside whilst the inside remains the same. Whilst Clara gets out to investigate, the Doctor remains inside to find out what the problem may be? 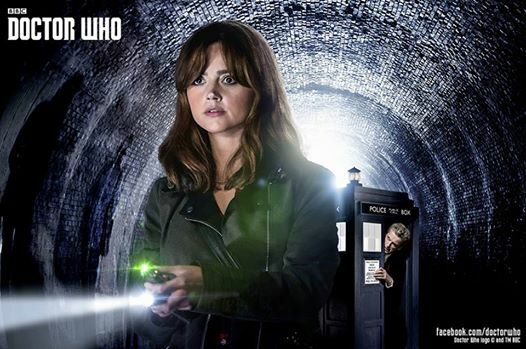 Unfortunately the Tardis shrinks much further and he is trapped inside a miniature Tardis whilst Clara is left alone to solve the mystery as the Doctor guides her through an visual and audio earpiece, giving her his sonic screwdriver and psychic paper to help her, so in effect takes on his role much to her relish. 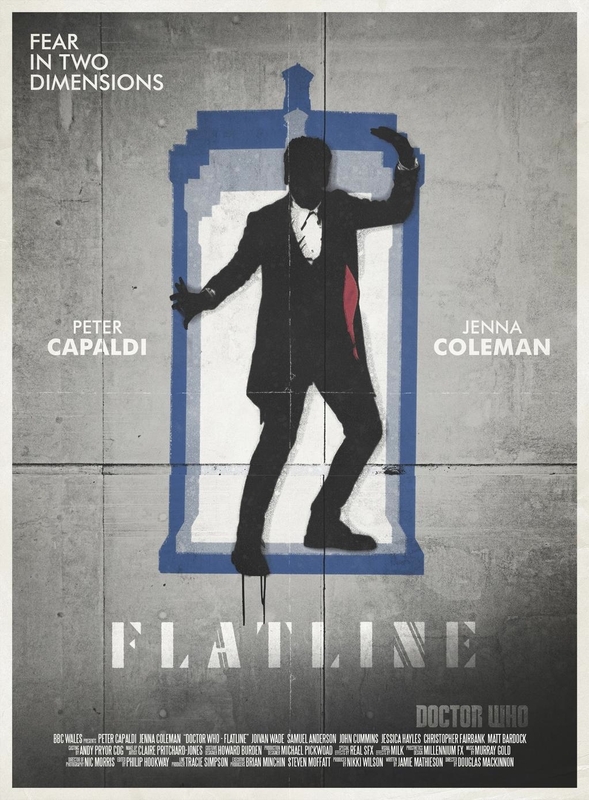 With the help of a young graffiti artist called Rigsy, a young man on community service with a few others, she sets out on her mission guided by a worried Doctor who eventually puts the Tardis on Siege Mode as the beings drain more power from it. She finds 2D beings from another dimension swallow up human life through street art similar to Banksy that come to life and can leave their surroundings, becoming eerie looking 3D images, like ghosts. One by one they are picked off but are they killers or misunderstood as they seem to be trying to communicate? The Doctor cannot tell if they are a threat or have good intentions that have gone wrong. All he knows is that he has to stop them causing anymore harm before it is too late. These creatures are out of sync from their dimension and grow in power as time passes. Meanwhile, the Tardis grows weaker and Clara no longer has the miniature Tardis on her, now shrunken even further to a cube with the Doctor still trapped inside and helpless. Then the Doctor fights back thanks to Clara’s quick thinking! This episode creates new monsters called the Boneless, to fear that we see all around us in our modern world through Banksy street art and other such work. The end scene also brings in Missy again whose focus is this time on Clara who has been watching events unfold in real-time. She seems happy with her choice in Clara she says? Is this another attempt by the writers and producers to try and introduce a female Doctor again? I for one hope not for it is not needed and never has been nor will be. The assistants are very strong characters in their own right and there have been many missed opportunities for a spin-off series with a female Timelord in River Song, the Doctor’s daughter or do a series about Madame Vastra. Let us not forget that the Doctor has a Granddaughter as well so must have great Grandchildren as well as another child somewhere? There is no need to fix something that is not broken. Next week’s episode looks set to have a Little Red Riding Hood theme and even a Wolf. This series just gets better and stronger as the weeks pass. Three more and it will be over until the Christmas episode and then we wait until next year for season 35 (9) to begin.